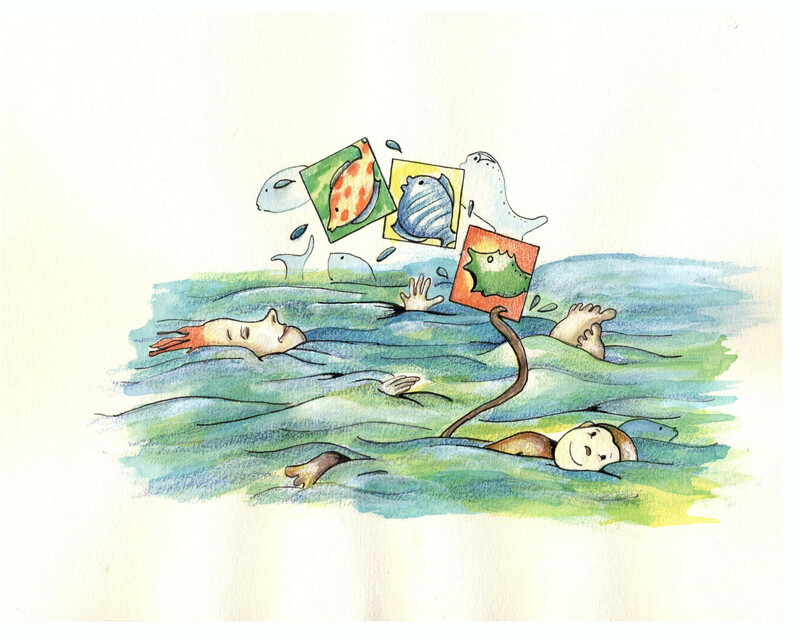 This illustration was part of the same project as the scene with all the animals dancing to the music of the guitar playing kid. Isn't this what usually happens when a monkey goes swimming? An illustration done of the Tolley Building on Syracuse's campus to be used on various mediums for the Humanities Center. 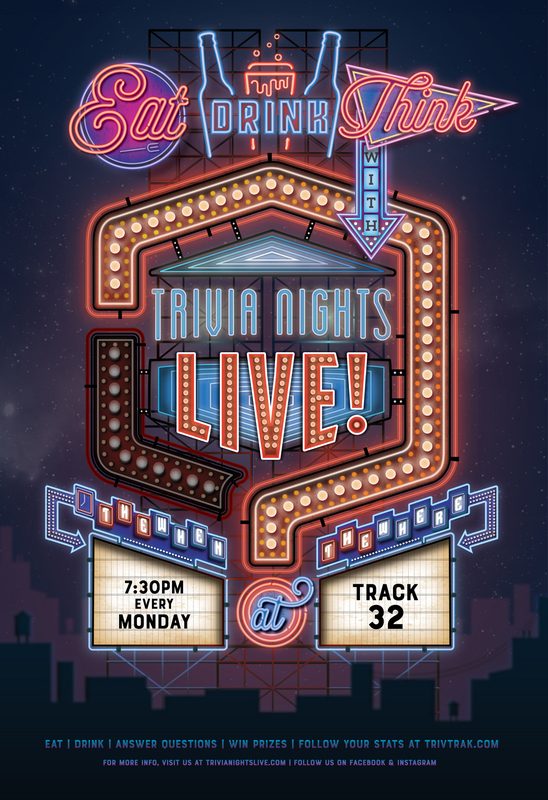 This poster, that advertises the local trivia company Trivia Nights Live!, was inspired by Vegas' neon signs.